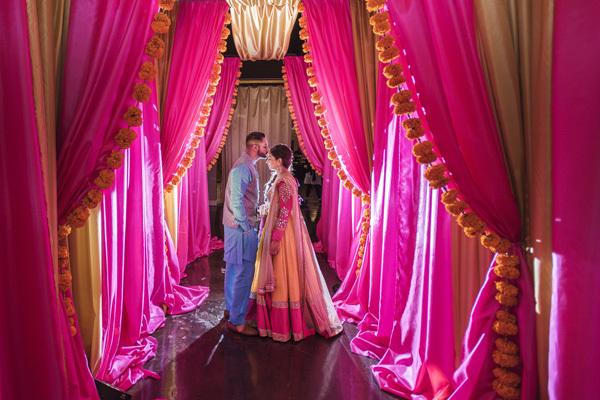 Carilyn and Jerrod used some of our favorite Kansas City vendors for their wedding, and the result was fabulous! 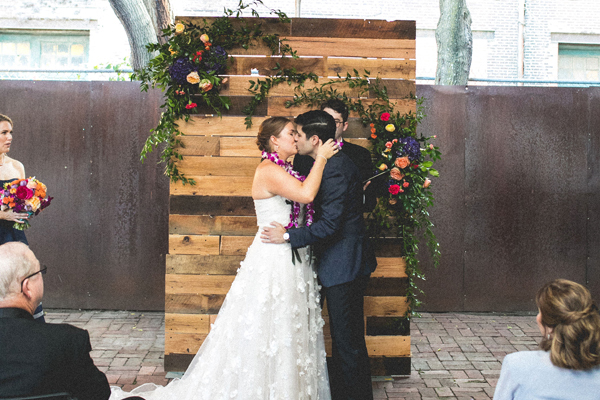 They chose Feasts of Fancy at the Hobbs Building for both their ceremony and reception. 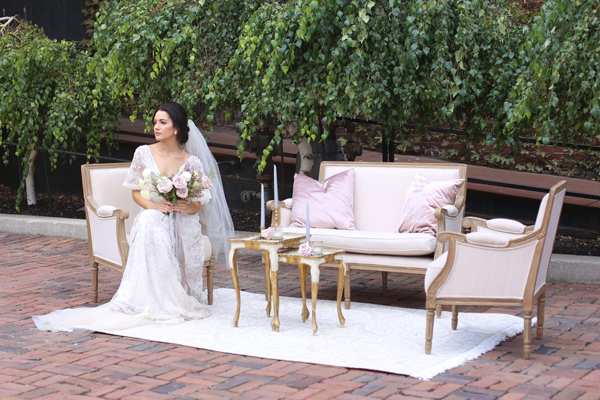 We may be a bit biased, because the Hobbs Building is literally right around the corner from us, but they have such a great patio for ceremonies and a beautiful loft-style reception space. Good Earth Floral Design Studio did a superb job, as always, with the flowers. I particularly like the garland ceremony backdrop. Dolce Bakery created the most delicious looking dessert table filled with macaroons, several cakes, mousse and berries. Jana Marie Photography captured the evening beautifully in these photos – make sure to head over to her blog to see more from this wedding. With a soft color palette of peaches, pinks and whites, our Peach Square Sequin Tablecloth was the perfect fit for the dessert bar, and our Khaki and Natural Zig Zag Table Runners looked great on the guest tables (contact us for more info about these runners). Congratulations, Carilyn & Jerrod! All the best to you both! You can check out the rest of our Rental Collection here! Past clients who have rented items from Ultrapom: If you would like your event featured on our blog, contact us! Email us photos that include Ultrapom rental items, as well as photos and text that tell the story of your special event. We would love to feature you! 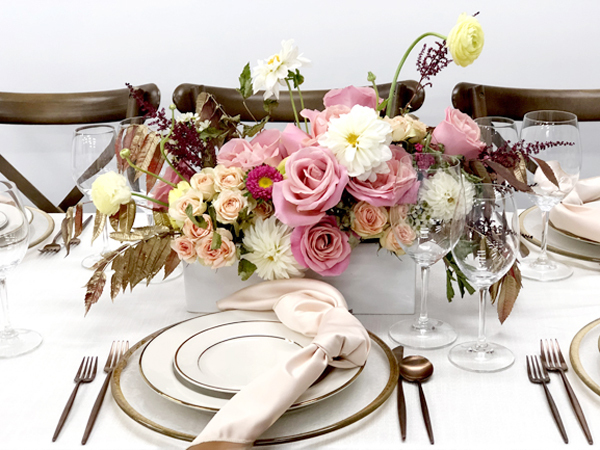 This entry was written by carolynpom, posted on at 12:33 pm, filed under BLOG and tagged client wedding, dolce bakery, feasts of fancy, good earth floral and design, hobbs building, jana marie photography, peach and white wedding. Bookmark the permalink. Follow any comments here with the RSS feed for this post. Post a comment or leave a trackback: Trackback URL.